Jessica Trufant wrote a piece for the Ledger about the upcoming Health Impact Assessment (HIA) community meeting. You can read it here. We will be canvassing on Saturday from 10am-12pm and on Sunday from 1pm-3pm. We will have flyers and canvass maps available. 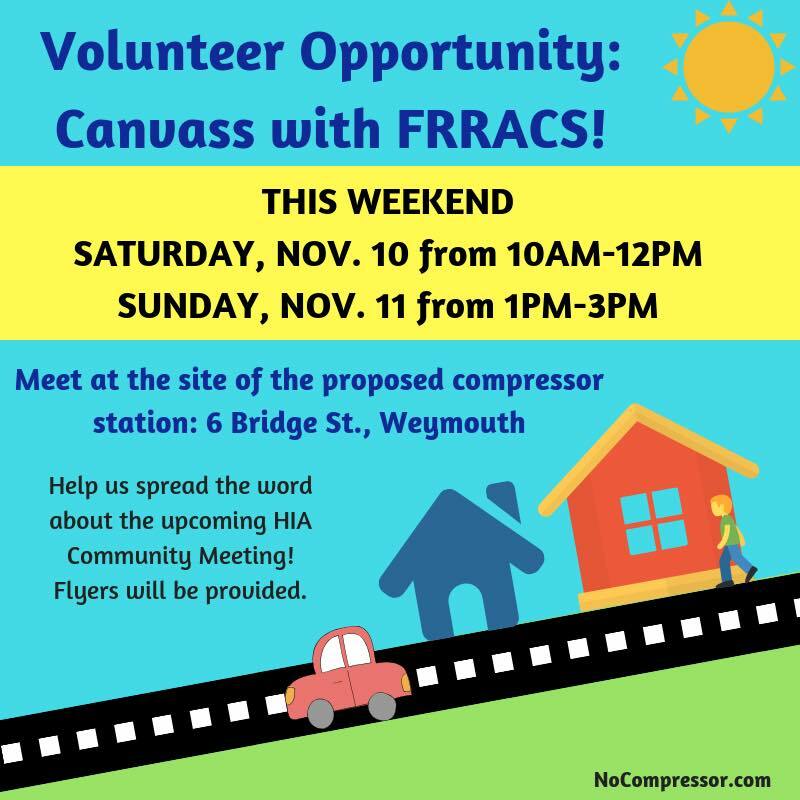 We’ll be meeting at the proposed compressor station site (6 Bridge St.).